Mangaluru, July 9, 2015: The chair of the Commissioner of Mangaluru City Corporation (MCC) appears to be plagued by a ’Jinx’. Three Commissioners occupied and were shunted in the last 15 months under unusual circumstances. The post was vacant for five-and-half months during the second half of 2014, the post is again vacant for nearly a month now. The chief executive of the city, who would have to take key decisions on leading one of the fastest growing cities in the State, has not been on the seat continuously to plan visionary projects for the port city. G.V. Joshi, a former member of Karnataka State Planning Board, stated that frequent transfer of the chief executive of the city and uncertainty in continuing in office has affected the growth of a fast growing city like Mangaluru. It has been labeled ’competent officers are not for Mangaluru’. Land use planning of the city and issues relating to traffic and drinking water required immediate attention. President, Nagarika Hitarakshana Samiti, Mangaluru blamed the infighting within the ruling Congress as responsible for the Commissioner’s post becoming a “musical chair”. “Internal differences within the Congress is responsible for the current state of affairs in the city” said Hanumantha Kamath. “H. Prasanna, KAS, who was the Additional Deputy Commissioner of Kodagu, taking charge as the Commissioner of MCC on July 16, 2014 and going on leave immediately after two hours of taking charge and then not returning to the corporation indicates the extent of political interference,” he said. Hephsiba Rani Korlapati, IAS, was the second IAS officer to take charge as the regular Commissioner of the corporation recently, after Sameer Shukla, IAS, served for a few months. “Builders lobby is behind all the transfer circus” said another concerned citizen. 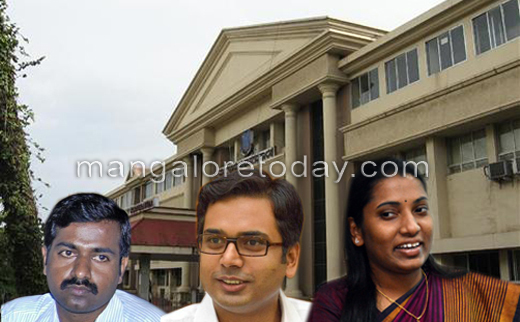 How long will it take to get a commissioner for Mangalore City Corporation? What will happen to the development of the city? MLAs, Ministers and state government seems to be not bothered. People who work for the welfare of the people will not last for the long in the city. Our politics is purely corrupted.